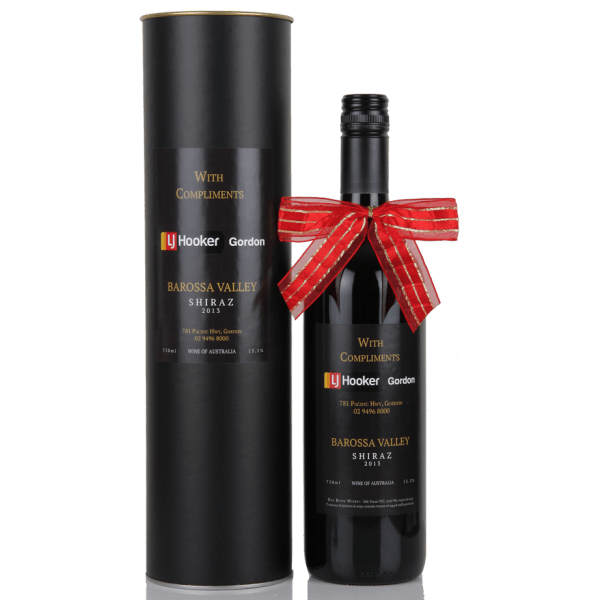 This single wine presentation gift cylinder is ideal for presenting or posting out your your personalised wines to your clients. It is made out of a strong cardboard cylinder with metal ends and has an elegant semi-matte black finish on the outside. The internal dimensions of this box once assembled are 85 x 85 x 320mm (length x width x height in mm) *Wine not included, also available in silver and white. 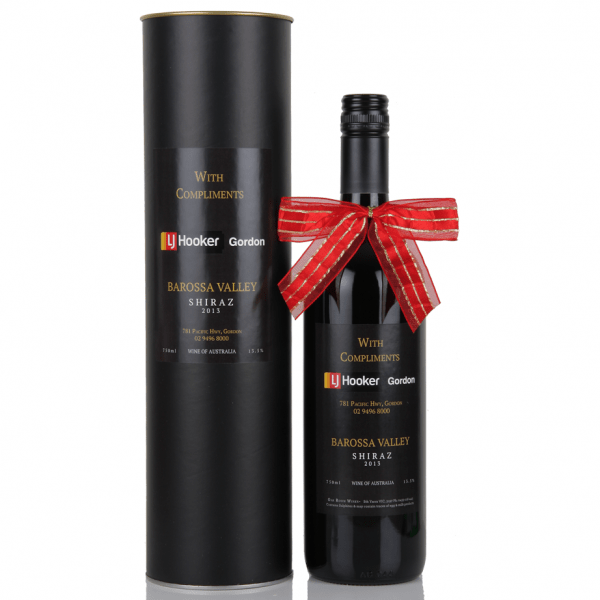 Basic Branding: Designing a custom wine label and cylinder label adds a level quality to the finished product. 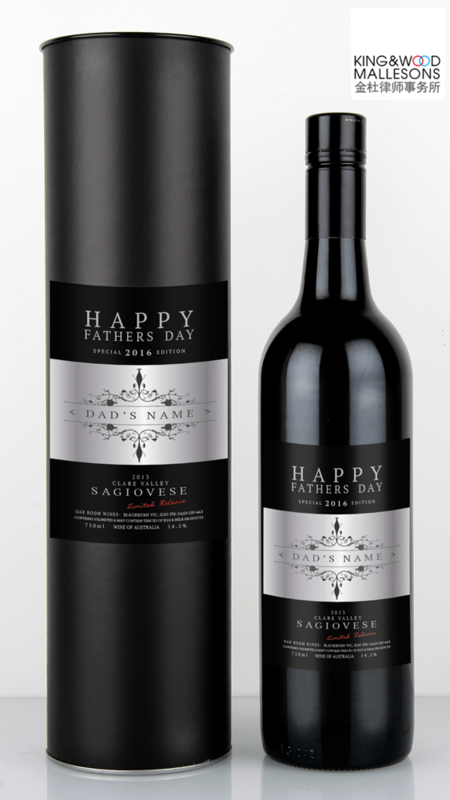 Oak Room Wines can custom design your label graphics. We then print and apply in-house as a complete gift ready to ship to your or direct to your clients. 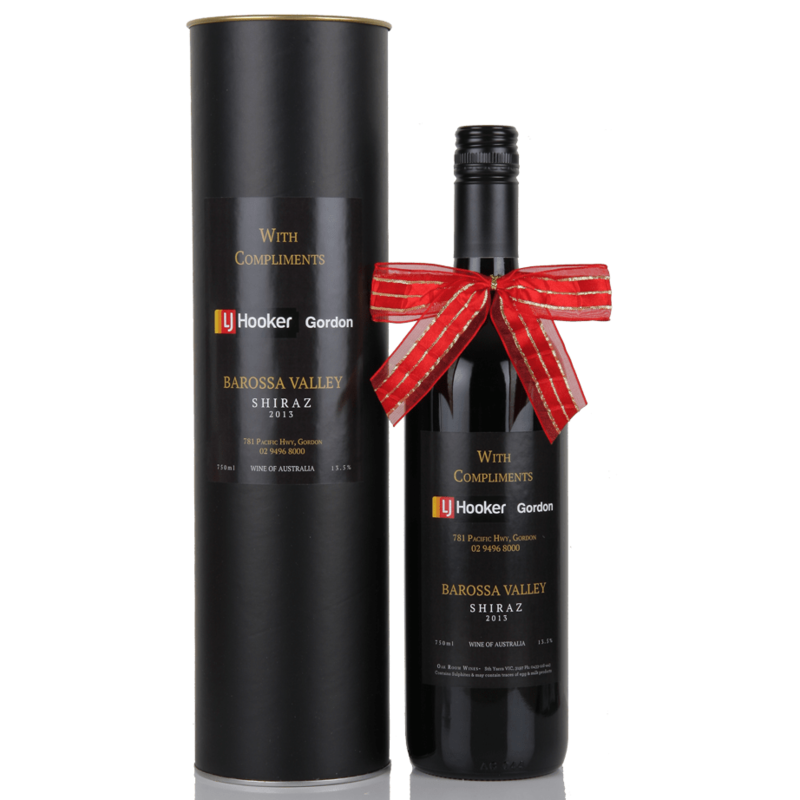 Premium Branding: If you have a large quantity of wine gifts, full colour printing & customisation of the tube is available. Minimum orders for this is 50 units, plus setup fee and printing costs. Please contact us for a quote as prices alter per unit depending upon the volume. Allow 3-4 weeks for final product delivery.